Hi, I am John McDougall, and I bought a Natural Talalay Mattress from Gardner Mattress a few years ago. I was initially thinking of getting a Tempur-Pedic memory foam mattress and they seemed really comfortable to me. But the more I read about them the more I was turned off by the fact that you needed to leave them unboxed for a while to get all the toxic smell out of them. I knew that wasn’t for me and so I started researching about getting a similar type of pressure relief but with a more natural organic mattress material. That’s when Kirk from Gardner Mattress recommended Talalay Latex and his Organic Harmony mattress to me. 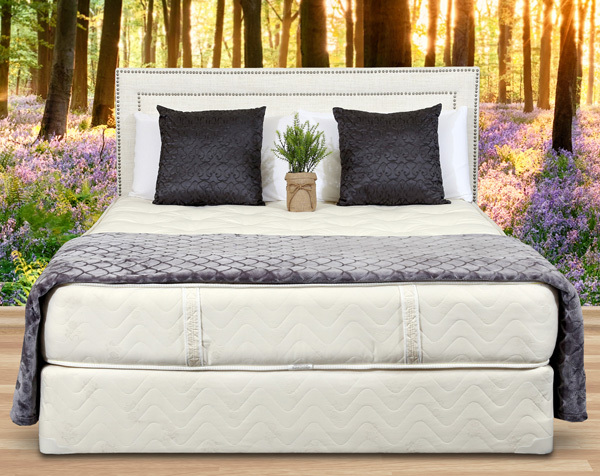 I read that if bounce, response, balanced contour, and breathability are important to you, then a Talalay Latex mattress might be the right fit. So I gave it a try, and I’m glad I did, because my back pain was reduced significantly, given my old mattress was sagging, and I haven’t thought about it since. After talking to my chiropractor, I decided to get the firm version of this mattress. And if I ever want to soften it up even more I could get an additional mattress topper, but I haven’t felt the need to. It’s great to know you not sleeping right on chemicals, but have one of the most comfortable and supportive mattresses you can get. Previous article	What is the Best Mattress for Back Pain?